José Fco. Baeza de Oleza’s primary and secondary schooling was at San Agustín College in Majorca. At 23 he began working in the Commercial Department of Vitalicio Seguros. At 26 he was appointed Director of the branch in Palma de Mallorca, the youngest director in Spain. More than 20 years’ experience. At 30 he left to become an Independent and Exclusive Agent. In 2012 he became Generali Spain’s no. 1 Agent. From 2009 to 2014 the network of offices increased to three in total. 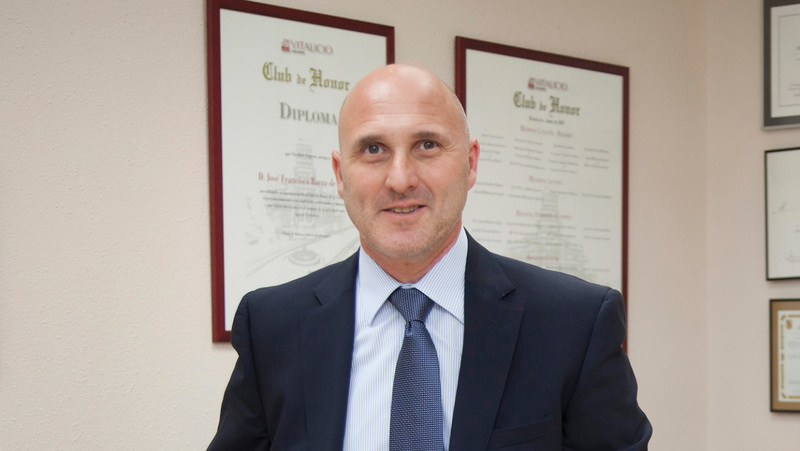 From 2009 Juan Cerdà Miquel and subsequently Irene Colom Cuart joined to form part of the group as responsible partners for the offices in Inca and Sóller respectively. In 2014 we opened a department dedicated exclusively to the Nautical Sector, with Margarita Pons managing this for us. Her focus is attending to the national and the international market as she speaks perfect English and German. Grupo Baeza has been in operation for 22 years with specialist staff, working for the benefit of its clients and consistently gaining their trust. Specialised staff and offices in Palma, Inca and Sóller. We offer our clients trustworthiness and professionalism. More than 30 years serving our clients. In 2012 we were Generali Spain’s no. 1 group. More than 3,000 clients have already placed their trust in us. More than 15% of Generali’s total volume, in the Balearics.